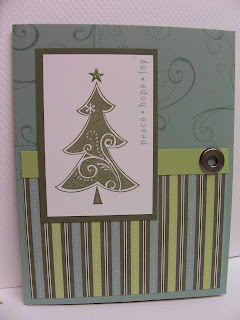 Today I am showing you two cards we will be making at my class this weekend. These are so cute!!! Your customers are lucky, wish I could attend! Awesome cards! Your customers are going to love them!!! Great colours, the cards are beautiful! 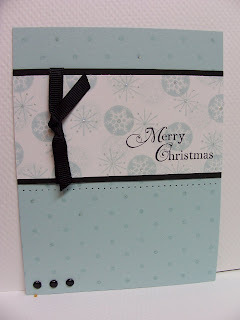 great designs on these cards, becky!!! love the use of DSP. The christmas color schemes you used here are great. TFS! Becky, I love your cards! I came to your blog through your post on my thread about simple stamping at SCS, and I sooo wish I'd come across it sooner. Bookmarking you, honey! Thanks!